The National Investigation Agency (NIA) on 14 August told a Delhi Court that it has completed questioning of Hurriyat chief Syed Ali Shah Geelani's son-in-law Altaf Shah, separatists Mehrajuddin Kalwal and Peer Saifulla. Earlier in the day, Geelani's son-in-law Altaf Ahmad Shah, Mehrajuddin Kalwal and Peer Saifullah were produced before Delhi's Patiala House Court in connection with the terror funding case, allegedly involving Jamaat-ud-Dawa chief Hafiz Saeed. The NIA on August 8 questioned Geelani's sons- Nayeem and Naseem- in the similar matter. Nayeem is being tipped as the natural successor to lead the Tehrek-e- Hurriyat, a separatist conglomerate comprising pro-Pakistan hardline groups, after his father. The NIA registered the case on 30 May, accusing separatist and secessionist leaders of being involved with terrorist groups. The case was registered over raising, receiving and collecting funds through various illegal means for funding separatist and terrorist activities in Jammu and Kashmir. The case also included causing disruption in the Valley by pelting security forces with stones, burning schools, damaging public property and waging war against India. 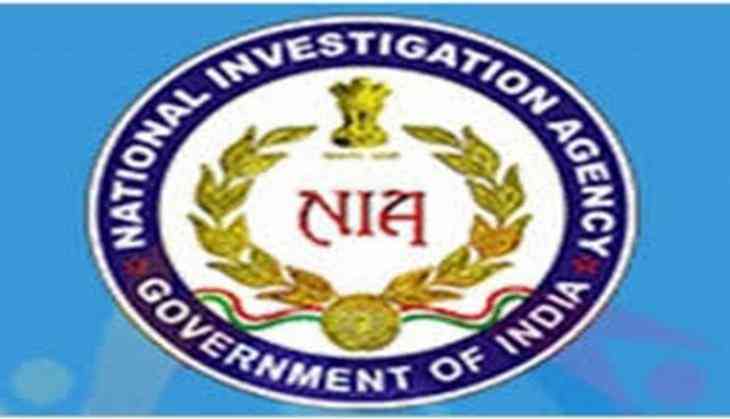 The NIA had conducted searches in several places in the state besides Haryana and the national capital. Electronic devices and valuables worth crores of rupees were seized. Pakistan@70: A troublesome start, 7 decades of hurtling towards the abyss...what next? READ NEXT >> Pakistan@70: A troublesome start, 7 decades of hurtling towards the abyss...what next?